Hello Sweet Cheer: 28 years & counting! WARNING: This is a long blog post, but I think it’s pretty great so read on! Today, January 7, 2012 marks the day 28 years ago that my incredible parents vowed to a life of commitment to each other & to our Lord & Savior. No, they didn’t vow to be married as long as they were in love, they didn’t vow to fairly split their possessions when the marriage ended, & they sure didn’t vow to simply live as roommates regardless of the status of their relationship. After twenty-eight years, my parents are still madly in love walking through life together & pursuing Christ not only as individuals but as one flesh. Last year my gift to them was a video I made in iMovie full of pictures of them & of our family over the years. They loved it & I enjoyed making it for them. This year I wanted to do something even more personal than that. This blog post. Craig Scott Moorman was born in Beaumont, TX to Odus & Bonita Moorman on March 31, 1961. He grew up in the Baptist church, his father was a deacon there & an avid hunter. He grew up hunting deer, dove, rabbits, etc. In high school he played football for Forest Park High School & graduated in May of 1979. He went on to attend Texas Tech University until 1983 before finishing his B.B.A in Production Operations Management at the University of North Texas. Jane Elizabeth Collier was born in Baton Rouge, LA to Robert & Claire Collier on September 24, 1960. At the age of 4 her family moved from South Louisiana to Beaumont, TX. She grew up going to the Catholic church with her mother and four siblings, while her father attended (& still does) the Baptist church. She grew up taking dance & stuck with it all the way through college. She attended Forest Park High School where she served as Lieutenant & then 1st Lieutenant for the Trojann’s drill team. She graduated with high honors in May of 1979. She went on to spend a year at the University of Texas where she did NOT enjoy it. 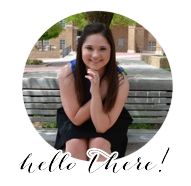 She transferred to Texas Tech University where she was on the Pom Squad for 2 years & earned her B.B.A in Management Information Systems and Accounting. If you haven’t noticed, they grew up in the same town & graduated from the same high school. They started dating their junior year at Forest Park & were together for 5 1/2 years before tying the knot. My mom went to UT for a year where she just couldn’t stand to be without my dad. (Not to mention she chose the wrong school to begin with.) Like I said earlier, she transferred to Tech & finished her degree there before my dad could get all his hours. They were married January 7, 1984 before briefly moving to Oklahoma for my mom’s job. They then relocated to Dallas where my dad finished his degree & they have resided in the area ever since. They’ve endured many trials as a couple & as a family. During their brief stay in Oklahoma my dad got very sick & had to drop the classes he was taking. Thankfully my mom got transferred to Dallas & my dad got better. They had their first child on February 2, 1988. At 10 weeks old Callie had a tracheotomy due to a strawberry birthmark blocking her airway. My sister Rachel busted her chin open in the bathtub as a toddler. My dad had a risky back surgery during Christmas of 1997. My little sister Camille busted her head open on a makeshift swing set at the age of about 6. My mom had a seizure in May of 2006. Our entire family had to deal with the death of my Grandad (Dad’s dad) in August of 2006. The summer before my junior year of high school I was bit by a snake. In all these situations they stayed strong. They cared for us & cared for each other. Those are just a few of the things our family has endured. My parents have been the backbone of this family. They have been seeking the Lord & His guidance through it all. My point is that with Christ my parents have been together for TWENTY-EIGHT years. They still say cheesy things to each other, my mom still laughs hysterically at my dad’s silly jokes, & every time I come home I am reminded of their great love for each other. More than just these trials they’ve dealt with they’ve had many great times over the years. Four of which, I’d like to mention! First, like I said earlier they welcomed their first child into the world on February 2, 1988. Her name was Callie Elizabeth Moorman & she was a firecracker. (& still is!) She is now Callie Elizabeth Payne & my brother-in-law is awesome! Next, my mother gave birth to their second child Rachel Jane Moorman on February 11, 1990. She was the spitting image of my mom as a child & had her mind too. She’s always been the most brainy sister & we love her for it! She will soon be Rachel Jane Lott! She is engaged to be married this May. Their third baby is me! 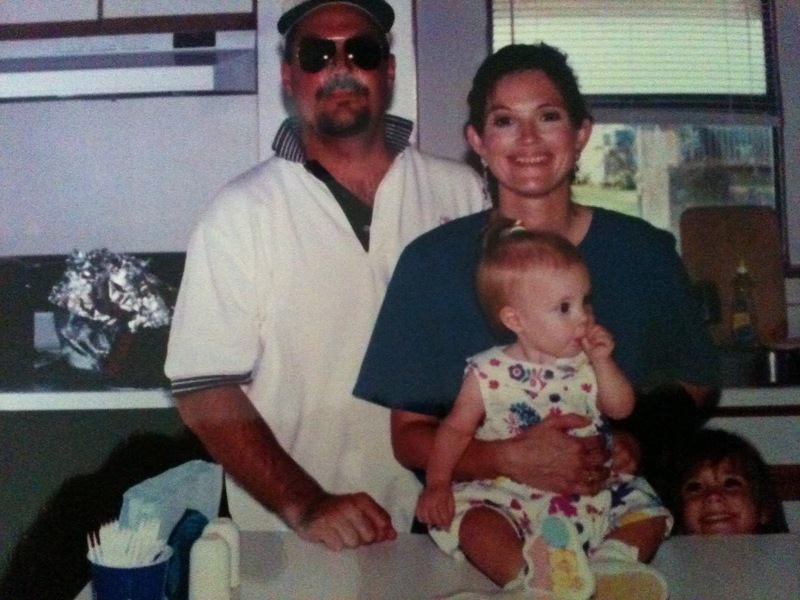 Meredith Michelle Moorman was born on November 4, 1992. 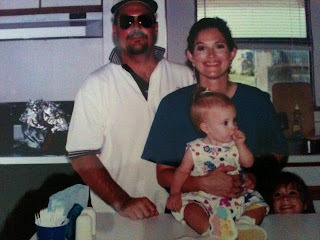 I’ve always been my daddy’s “third angel” & very much a momma’s girl too! I’ve always been the sensitive sister. Generally in touch with my feelings & loving life! & was the cutest little toddler! Today I want to honor them with this post. They have been incredible role models for my sisters & I over the course of our lives & still are. Today my sister Callie is married to a wonderful man (2 1/2 months & counting!) & Rachel is engaged to be married to her wonderful man. I’m excited for them to have marriages like our parents have. They brought these four beautiful ladies into the world. We couldn’t ask for more! I am so proud to say these two wonderful people are my parents & can’t wait to have a marriage like theirs one day. Theirtestimony of Christian marriage has been a huge influence in my life & I am forever thankful to them for that. I love you both so much. Mom, you’ve taught me what it means to be a woman who loves & cares for her husband. Dad, you’ve shown me what a Christian man looks like, how he treats his wife & what I should expect in a future husband. You’ve both shown me what it means to be in a marriage that seeks Christ. I’ve learned these things in the best way possible, from the two people I love the most. Happy Anniversary. I love you!